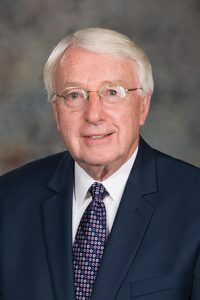 LB1119, sponsored by Ralston Sen. Merv Riepe, would create a pilot program for state employees eligible to participate in the Nebraska state insurance program. The two-year pilot program would begin in fiscal year 2019-20 and require that the state insurance program include at least two primary care options—one high-deductible and one low-deductible—for state employees. Providers would receive a monthly payment of a per-member, per-month fee for each enrollee and would be required to continuously monitor care quality measurements. The state Department of Administrative Services would provide the Legislature with an annual report on the clinical and financial performance of the program. 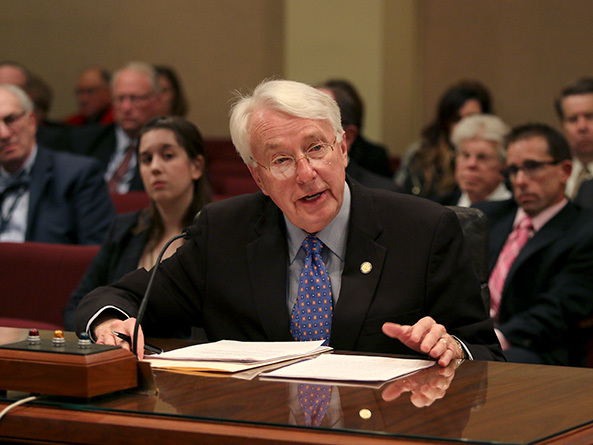 Cliff Robertson testified in support of the bill on behalf of CHI Health and the Nebraska Hospital Association. CHI Health recently became one of the first health systems to offer direct primary care as a benefit to its employees, he said, and the result has been better care at a lower cost. Robertson, a family physician and CEO of CHI Health, said the traditional “fee-for-service treadmill” results in providers seeing more patients in a shorter time in order to maintain economic viability. Because direct primary care patients pay a monthly fee, they can see a doctor at any time without additional charge, he said, and providers have the time to get to know patients. “Based on our own experience with both our employees and our own providers, I believe you’re on the right track with LB1119 and that you’ll see positive benefits for state employees as well as seeing lower health care costs,” Robertson said. Todd Johnson also testified in support of the proposal, saying he was the first direct primary care provider in Nebraska. Direct primary care offers greater affordability, he said, in part because providers can offer wholesale pricing for prescription medication, medical imaging, medical equipment and laboratory services. “I have a dozen businesses on board with me that are subscribing all their employees because they can finally offer health care to their employees, when before they were offering health insurance that they could not afford,” Johnson said.